This topic describes how to download and install the GPU driver. If you do not configure automatic installation of the GPU driver when you create a GPU instance, you must install it manually after the creation. 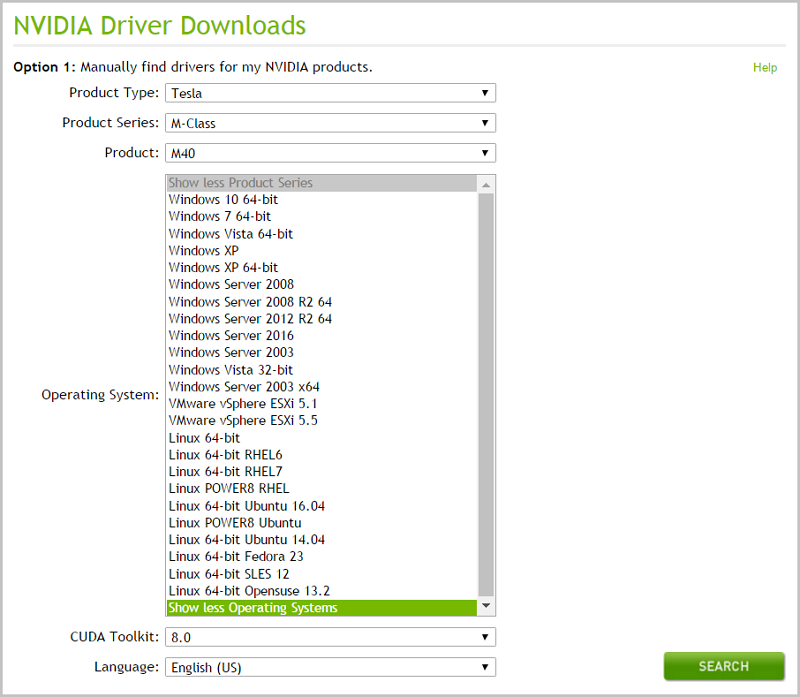 Find the drivers for your NVIDIA products, and click Search. The following table shows relevant metrics. Operating system (OS) Select a release according to the image of your instance. If your OS is not in the drop-down list, click Select All Operating Systems at the bottom of the list. For Debian, select Linux 64-bit. Confirm the information is correct, then click Download. Download and install the kernel-devel and kernel-header packages based on your kernel version. Note If version conflict exists between kernel-devel and your kernel, driver compilation errors will occur during driver rpm installation. You can run rpm –qa | grep kernel in your instance to check version consistency before installing the driver. Run the sudo rpm -qa | grep $(uname -r) command to verify that the kernel-devel and kernel-header packages are successfully installed. For example, if you are using CentOS 7.3 and the following information appears, this means that the installation is successfully completed. 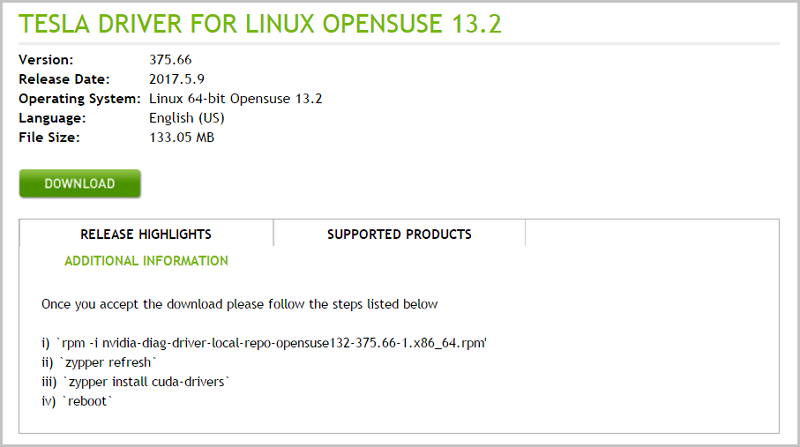 Install the GPU driver according to the description in the ADDITIONAL INFORMATION area of the GPU download page. Double-click the executable file to install the driver as instructed. Note For Windows instances, the Windows RDP protocol does not support DirectX or OpenGL after the GPU driver is successfully installed. In this case, you need to install the VNC service and client or other protocols by yourself (for example, PCOIP, and XenDeskop HDX 3D).